While the Leipzig GCDC was primarily about Valve’s games, one piece of Steam news has come of it. PayPal and direct ‘wire’ transfers are shortly to join credit cards as accepted purchasing methods. The original hlportal.de interview is here; an English translation can be found on the Steam Forums. For the consumer, this is all good news. Although common in America, credit cards aren’t so popular in countries like Germany—from where, perhaps not incidentally, more Steam games were purchased last month than the USA. Wire transfers are popular in Europe for being both instantaneous and largely secure (they are apparently quite expensive internationally, but the extent of that in comparison with cards is unclear), and PayPal, while not the most trustworthy of financial services, is undeniably popular. On Valve’s side, things are a little different. Wire transfer is still a solid option, at least as far my knowledge goes, but PayPal offers absolutely no buyer protection for digital distributors and plenty of opportunity for fraud. Quite what Valve have done to offset what is certain to be an enormous influx of fraudsters is an internal matter; perhaps they have limited PayPal transactions to certain regions, but it is more likely that we won’t find out what’s going on without ending up behind bars. Another issue for Valve will be age verification. Credit cards are only widely accessible to those above 18 and have so far acted as a stand-in system, but with wire transfer almost anyone can purchase anything. Without some form of verification, it will surely only be a matter of time until anti-violence protestors get wind of the surreptitious backdoor shovelling of immoral filth into their children’s computers. Plus of course, allowing kids to buy games of their own accord isn’t going to do the already worryingly childish wider community any favours. Ultimately though, there is little doubt that this is a good move. We’ll be seeing a significant boost to Steam users in the months following the systems’ introduction, assuming they are reliable, and regardless of age that is a positive thing. One way to get around the age verification is not not allow PayPal or wire transfer purchases on M rated games. Although I’ve never rated PayPal due to some of the reasons stated above, as well as their transaction fees. I’m hopeful that Switch/Maestro cards will finally be accepted (very popular in the UK). After all, Steam is about enticing consumers with game purchases just a few clicks away. And more payment methods means its going to be one click less for some. Do you think the “My PayPal was hacked” is going to join the chorus of “My Steam was hacked”? All I can say is that this is a very, very good thing. For those who don’t want a box and would rather buy the game online, and be able to pre-load/download it instantly, it’s a major plus. Although I’m sticking to a box or DVD case or whathaveyou. You can get your own Debit Card in the USA while you’re under 18 without a parent. Steam accepts them. You cannot(by the User Agreement of PayPal) have a PayPal account if you are under the age of 18. Therefore it can be assumed by them and Steam that you are 18 or older. Note: PayPal does not ask for your age during the sign up process. Actually, steam does not accept most debit cards. As far as I can tell, it only accepts debit cards that contain the VISA, MASTERCARD, AmEX, or DISCOVER logos. 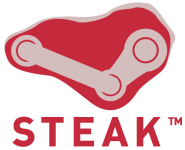 I know for a fact that my Debit does not work on steam. Its good to see Valve allowing PayPal and Wire transfers, since some of us like to avoid credit cards. As an idea of how expensive wire transfers are internationally, in Canada, the largest bank (Royal Bank of Canada) charges (As of a few years ago) a $50 fee. So to purchase a $49 game from Steam would cost $99 to do via a wire transfer. Wire transfers are also complicated to do here, requiring detailed information about the bank and account of the recipient, and must be done in-person with a teller. This, at least, was the situation when I attempted to wire the payment for an eBay auction (of a GeForce 3) to a US bank account. That’s just insane. Valve had better be opening bank accounts in every country or else nobody outside of America is going to use the system! Doing a wire-transfer is indeed extremely costly if you do it manually in the bank. However, it is (at least Norway) now possible to do wire-transfers from your online banking account, which is considerably less expensive. I think the prices mentioned for wire-transfer (USD 50) are pretty much the same in norway, while doing the deed yourself through the almighty internet costs around USD 5. I’m not 100% sure about these prices since I don’t do wire-transfers myself, but I do know the basics since the polish workers in our firm uses it to wire money home to their families. I don’t know about wire transfers, but I think paypal is a good idea. personally, I’m a lot more likely to buy a game if i can use payapl. I also think it will increase sales. Although its probable that some tricksters will scam paypal, I think the net profit will be positive for steam. If you want to get verified by paypal, you have to register a credit card. THAN, paypal checks your information, and since its pretty common for people to have credit cards when they’re over 18 (or 19 or 21 in some crountries), than all that valve has to do is exclude the unberified paypal accounts, which would be inconvinient for me, but very convinient for Valve. The whole point of Valve supporting PayPal is so that people don’t need credit cards. I’m sorry if I am a responsible and mature kid with a job, a chequing account, and paypal. I’m sorry that I don’t want to get a credit card, or buy into corporate ‘lines of credit’ because of what I’ve seen it do to people. I’m sorry I have to wait 3 years through a driver’s licensing system that does nothing to make roads safer, I’m sorry I play M-rated games and I shouldn’t, but I would like TO BE ABLE to do things that other MORALLY-CHALLENGED people find ways to backdoor themselves into a good thing, and leave good people out in the cold. Being shut out of buying something because of credit card issues all the time really upsets me. I’m a consumer, I should have the option, and not be so restricted! Eh? I think you might need to read the post again, and click here once you’ve done that. Valve’s paypal support is just a facade! You can only use paypal to buy stuff from steam if your paypal account has been verified with a credit card, which defeats the purpose! My paypal account was verified using my bank account, which has resulted in a long argument with the steam support staff. I keep asking questions about it, but instead of replying to my questions, they just keep marking the issue as “resolved” and ignoring me!